SHARE THE WARMTH UPDATE: Five days, 61 adoptions! Last week we launched our Share the Warmth campaign in response to the high number of felines in our care. We asked you to help us find homes for the cats and kittens currently up for adoption and you haven’t disappointed! 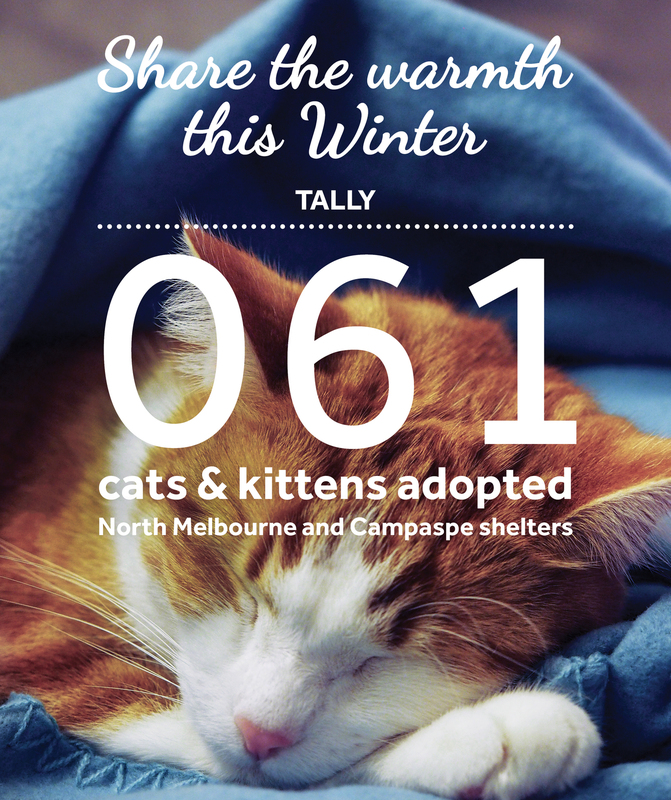 Since the campaign started on May 5, a total of 61 cats and kittens have been adopted across our North Melbourne and Campaspe shelters. After a great initial response, we look forward to seeing even more of our charismatic cats find their forever homes, including our long term adoption candidates Red Phoenix and Dudley just to name two!